The Rand McNally RVND 7730 LM RV GPS is a perfectly capable unit that does what it is supposed to do and does it well. The exceptional performance and the outstanding capabilities have been praised time and time again by consumer reviews. The unit features a large 7-inch display that is easy to work with and accurately displays the route complete with other information that can be customized by the user. Although it is not a deal-breaker for most of the buyers, this unit seems a bit difficult to get used to. Some of the ratings we have gone through emphasize that it might not be the right choice for people who are not necessarily tech-savvy. Planning a multiple stop trip might be a tad too complicated for the consumers who have gotten used to using ancient, less capable devices. Even the individuals who have reported faults in matters of usability state that they are perfectly satisfied with the way the device works. Gone are the days of 4-inch GPS navigators. Most of the small-sized devices that can now be bought are considered outdated, as they don’t come with the same functions of modern units and are a little difficult to manage while driving. 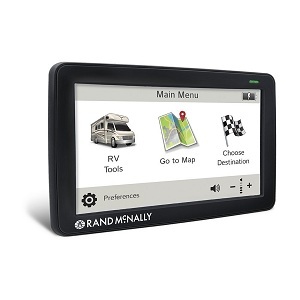 Fortunately for the people who are actually interested in seeing which road they need to take, the Rand McNally RVND 7730 LM RV GPS comes with a 7-inch screen. It seems that the 7-inch display is preferred by most manufacturers nowadays, as it is highly convenient and lets users consult both the road and data regarding stops and points of interest. Furthermore, the size of the display and the operating system of the Rand McNally RVND 7730 LM RV GPS make it easy for consumers to select between RV tools, maps, and destinations. Aside from being a regular GPS navigator, the Rand McNally alternative can be used as a fuel tracker. Buyers can calculate just how much fuel their vehicles have consumed and the fuel purchases they have performed on the road. Toll costs can be consulted in a timely fashion, and the chosen routes can be compared without the formerly mentioned toll costs. 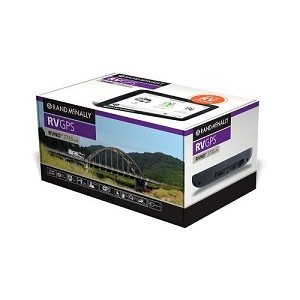 The faster processor of the Rand McNally RVND 7730 LM RV GPS is the detail that makes the unit capable of quickly responding to a user’s commands. Buyers have the freedom to choose any of the three user interface options that come with the navigator: Ice, Carbon, and Classic. Driving an RV is tedious without the right GPS tool. What makes this one so versatile? Unlike other products in the line, the model allows consumers to set the height, weight, length and width of their own vehicles. After having performed this customization, the users can see just which routes are the best for their types of vehicles. In addition, the product comes with millions of points of interest, from parking and rest areas to restaurants and travel centers. RV parks and campgrounds are part of the deal with this alternative.